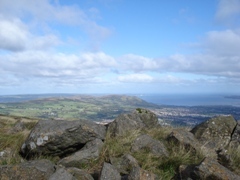 This route appears deceptively easy, combining the beginners coastal ride along the north Down coast from Holywood towards Bangor before heading inland across Helens Bay towards the Historic Helens Tower, on to the rugged Leadmines and through Newtownards to climb to the spectacular peak of Scrabo Tower before heading cross country and a leisurely spin back to Belfast along the Comber Greenway. Building upon the intermediate Belfast Hills ride, this epic ride will take in much of the beginner Lagan Valley ride and combine it with the summit of Belfast's four signatory peaks - Black Mountain, Divis Mountain, Wolf Hill and Cavehill. With a total of 1200m of climbing over the course of the day, the views from the tops of each peak are worth every effort. 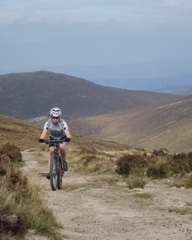 Who needs the Alps when you have the Belfast Hills! c,70km; 1200m ascent 30/70 road/off road. 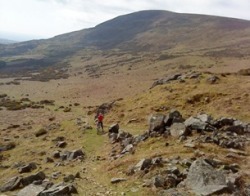 This advanced Mournes route combines the lower trails on the intermediate route with those that head further up and into the Mournes properly. Starting out on the outskirts of Newry city, this route travels takes in the sweeping and fast flowing singletrack of Narrow Water forest, the epic climb up Leitrim Lodge and the fantastic mountain view into the High Mournes and overlooking Carlingford Lough. Again based within Carlingford Village, this epic ride will take you along Slieve Foy above Carlingford after which we follow the route along the Tain trail climbing up to the top of Black Mountain before following the course of the Puc Fadah, back over Slieve Foy and into Carlngford for that well deserved coffee shop stop.